A constitutional court in Uganda has validated constitutional changes that could allow President Yoweri Museveni to remain in power for the rest of his life. 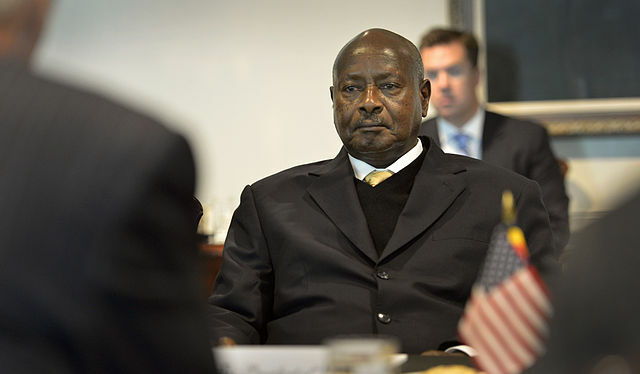 Uganda’s constitution previously set an age limit of 75 for anyone running for president, which would have ruled Museveni out of the country’s next election in 2021. However, the age limit has now been removed from the constitution, paving the way for the president to extend h9is 32-year rule over the country even further. Uganda’s parliament amended the constitution in December, removing the article that prevents anyone over the age of 75 from running for president. Chairs were thrown and punches swung during parliamentary debates over the issue which has been heavily criticised by opposition groups. Following the amendment, opposition legislators filed a petition with the aim of nullifying the bill, but Uganda’s constitutional court has upheld the changes. Only one judge on the panel opposed the amendment, calling the move unconstitutional. Museveni secured his fifth term in power in 2016 while his rival was detained in prison. Opposition activists accuse the president of rigging election polls and intimidating political opponents. The Ugandan leader is one of Africa’s longest-serving presidents in a region constitutional term limits are routinely amended.